Welcome back everyone! 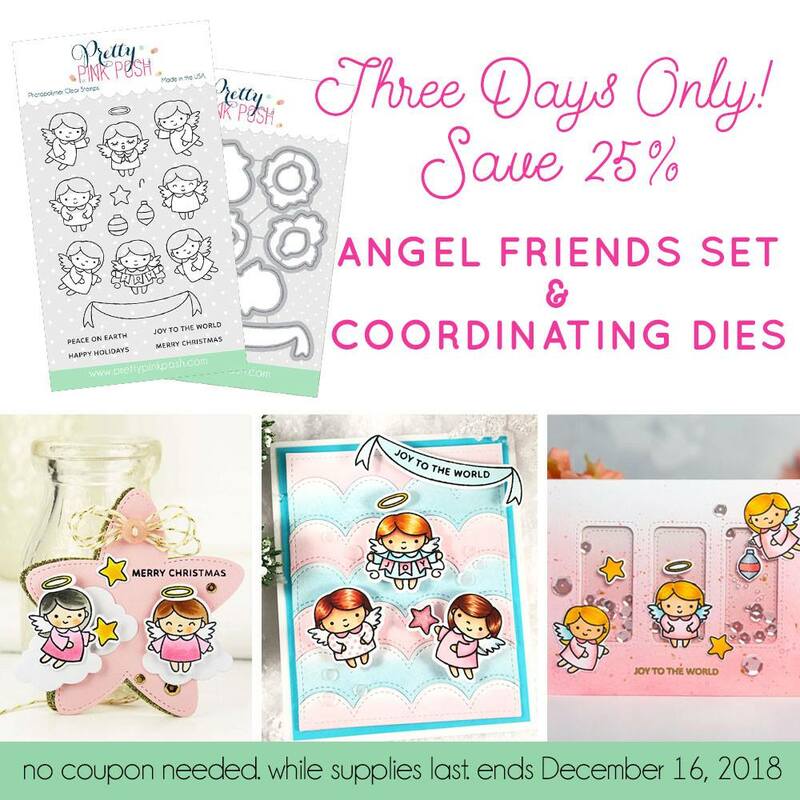 Today I’m sharing a card with the beautiful stamp set Angel Friends from Pretty Pink Posh that is on sale right now ! I started by stamping my images onto some masking paper and fussy cutting the images out. I then stamped my images onto Neenah Solar White cardstock with copic friendly ink and adding the masks to my images. Next, I ink blended my background using Broken China, Chipped Sapphire and Black Soot. 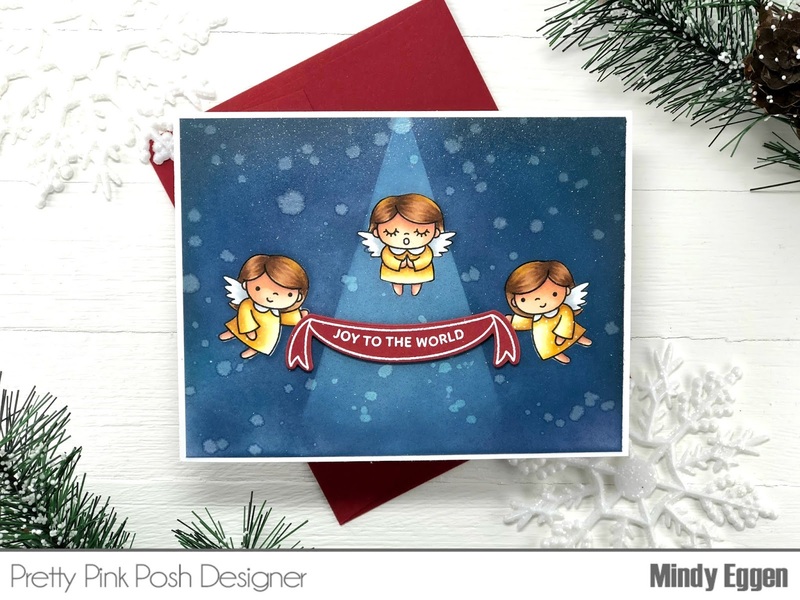 I added the spotlight area to the card using In The Spotlight stencil from My Favorite Things with Simon Says Stamp White Ink. Once that was done, I flicked on some water and dabbed with a paper towel. Then, I removed the masks and colored in my images with copic markers. I reapplied the masks and sprayed my background with Glitter Dust for some sparkle. Then I could remove the masks again and my images were kept perfectly clean. To finish off the card, I heat embossed the banner and sentiment in white embossing powder onto red cardstock. Then used the coordinating die to cut them out. I added the banner to the front of the card with foam squares for dimension. Be sure to head over to Pretty Pink Posh and pick up your set today! 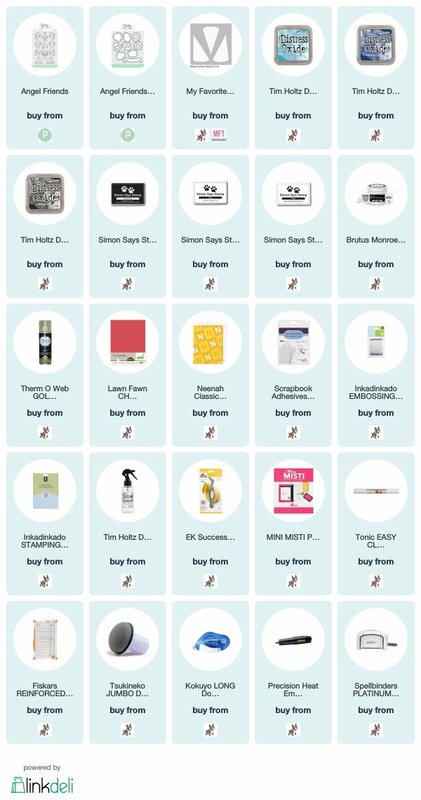 Affiliate links are used at no additional cost to you. Thank you for your support. Snow Fun with Neat & Tangled!